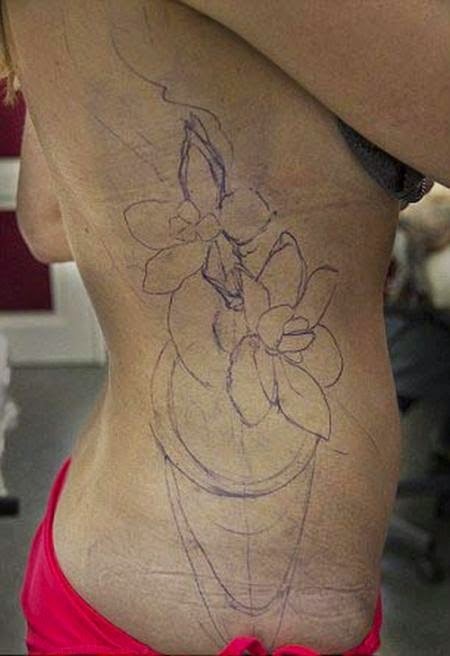 This woman gave the tattoo artist free reign to tattoo whatever he wanted on her body. He observed her for a little while and that proceeded to give her a beautiful tattoo on her ribs. Would you ever let an artist give you a surprise tattoo? 1 response to "This Woman's Tattoo Was A Surprise (13 pics)"